The third Roche Social Media Summit is here, this time out in San Diego. I'm honored to again be a part of an incredible group from the Diabetes Online Community and talk about things that are important for this little world of ours, and way beyond. And, of course, just some awesome fun in what's pretty much a huge D-Meetup with people from all across the country at Roche's expense. So, in my stead, I bring in my friend Simon from Australia, who does some amazing writing over at Diabetes Daily. I invite you to read what he's penned here, then visit him over at DD for a chance to read some majestic writing that is sure to capture your heart and soul. Sitting in my living room and contemplating this post my mind starts to wander.. I think of the past. I think of endless medical appointments, the pain, the confusion and the acute loneliness. My first impression of diabetes. The endless routine of fingersticks, injections and lab work. Treating mind numbing lows and trying to lower unexplained highs.Swings and roundabouts, twists and turns all leading me on an apparent path to oblivion, to lectures from endocrinologists and blank stares from friends. And then, out of nowhere...connection. My mind jolts back into the present. To a community of strangers here in the DOC. To folk who understand and make sense of the madness. The routine remains and the confusion that is diabetes still persists but now I am surrounded by friends and fellow warriors. I think of the generosity of folk like Mike who have gone out of their way to bring me in from the cold. From a life of loneliness to one of purpose and meaning. 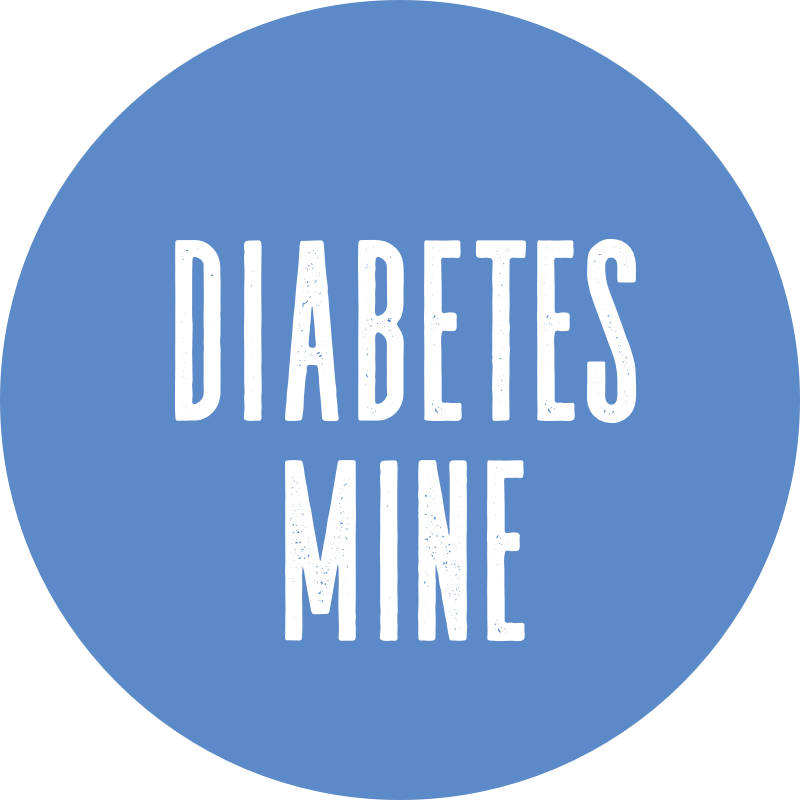 The diabetes online community is bringing together people of like needs and desires. We come together to share a joke, a shoulder to cry on or an ear to listen and in the process are transformed. You must follow a script very closely when entering his Hot Soup-serving establishment. The customer is always wrong, and you must pay extra for anything. Oh, and there's no backtalk. No saying a single word out of order - or that means he'll glare at you and shout, "No Soup for you!" As seen here. Recently, we encountered that same scenario on the Life Insurance front - when exploring whether we could get a bowl of life insurance soup, so to speak. Now, I have life insurance - a policy that's been around since my baby days, thanks to my dad and grandfather who've been longtime policy holders and made sure their children had one in place just in case. This has been in my name since I was born, before my diagnosis - even if I wasn't aware of it until some point in the past decade. As far as I know, my diabetes has never been an issue or brought up in the context of this life insurance policy. Recently, the wife's employer switched insurance plans and they had some life insurance plan options thrown at them for relatively cheap amounts. Not something we necessarily need, but it was appealing for the low cost and so she asked about it and whether my longtime Type 1 diabetes would present any concerns. The plan representative specifically said no. Now, even though a knowledgeable observer may realize that this probably wasn't a true statement, I have no doubt this is what the response was from that person. Because often, when you ask simple questions these people have NO CLUE what the practical aspects of the plan or insurance generally mean to people. It's like they live in a bubble of happiness, with glitter and unicorns and everyone can afford the high costs of what they're offering. Knowing generally that life insurance has some of those same "pre-existing" type concerns as general health insurance and can limit or restrict someone who's Living With Diabetes, it wasn't like this was something we were holding out any hope for. We were more curious. So the wife filled out the form and decided to see what would happen. We received a letter in the mail giving us that answer: She got accepted, no problem. "Thank you for applying to (Blood-Sucking Greedy Life Insurance Company) for coverage. After careful review, we regret to inform you that we are unable to issue Additional Spouse Voluntary Term Life Insurance coverage to Michael. We made this decision because of the information you gave to us on the Health Statement regarding insulin-dependent diabetes. We did not contact or receive information from anyone else." Then it goes on to explain how you can get a copy of this statement, appeal or correct any information on file. We got a good laugh about it. At first, at least. I thought more about it later, and realized that from a business standpoint - it does make sense. You know, we People With Diabetes do commonly have shorter life spans than those without diabetes. Not that we don't have people living long and productive lives thanks to modern advances in the past few decades. They are a business trying to limit their payouts - and that means limiting those "high risk" individuals who present more likelihood to cost them money. I do get it. In the past, I'd seen the JDRF and ADA both talking about life insurance and it can be unattainable for many in the Diabetes Community. The ADA writes, "Once a person is diagnosed with diabetes, life insurance policies sold within the United States can become unaffordable or unavailable. This is because life insurance policies are allowed by state and federal law to "rate" or charge a premium based upon an applicant's health status. In addition, a plan can choose to not provide a policy based upon an applicant's health status." Both organizations have helpful tips online - the JDRF here and the ADA here. A state-by-state breakdown of insurance regulars also can provide assistance on this topic. Like I said, I get the practical business realities of this. But I don't like it, and really it depresses me. We grow up hearing horror stories about diabetic complications and death, and we grapple emotionally and physically with the tolls of that uncertainty and sometimes even that real-life risk. We do everything possible to avoid those fates, and we highlight the success stories of those who've successfully Lived With Diabetes for many many years - even reached milestones and received recognition for that. But when it comes right down to it, the business decision-making of life insurers - at least here in the U.S. - tells us flat out: "No, you're more likely to die young and present a risk for us, so we don't want you." Just not a very positive message, in my opinion. But as I mentioned earlier, we're fortunate enough to have existing insurance already in case something happens and we didn't need this. At least, not the good chicken noodle variety. You get stuck with the generic brand out of a box. We went out for breakfast one morning recently. As with many places, this particular breakfast establishment had a trio of sugar substitutes sitting on the table along with that white packet of plain old sweet sugar. A pink one. Another blue. A third one yellow. One Sweet N' Low. Another Equal. And one splendidly Splenda. "Suitable for people with diabetes." Now, I have no clue as to whether the others are or are not just as "suitable" for People With Diabetes. I'm not even really sure What The Fructose (see what I did there...!?!?!) that even means. But I examined them all, and the Splenda was the only one that said it. So I swiped it and took it home. We should all just be splendid to each other. That's a suitable style way to live for anyone. Diabetic or not. Well, anyway. Sounds like a good message to end the week on, to me. The rest: I leave for you to interpret with your own sweetness of the mind. And I almost forgot about it... But I didn't. So, this is the chance to show off an awesome skin cover for my Minimed insulin pump. Cool cover created by Medtronic's SkinIt. This is one of many options that existed for a pump skin cover, but weighing all the options and realizing this skin would pretty much be visible to everyone - even strangers - most of the time (since I wear my pump on my belt), the patriotic design is what I went with. So, my trusty Mimimed 722 (a.k.a. The Don of Rage Bolusing) gets to show off the patriotism online, just as is now done each and every day as it hovers on my belt-line. Being all "U.S.A., U.S.A." and such. And upcoming Fourth of July, in like four weeks. That's right. Up is Down. Right is Left. And cupcakes just aren't yummy. The world is upside down. My equilibrium is totally off, and I feel as though I'm running in circles trying to find an unknown destination without a map. Now, it's not particularly connected to diabetes - most of the craziness is everything else in life. But a consequence of the storm damage is that my D-Management is completely off as well. It's not really that my diabetes has been cooperating, it's more to the tune that I have not been cooperating with my diabetes and have been totally slacking. With all the storms swirling in life, I've just not been up to doing what needs to be done. Depression begets depression, and it's just not something I've been really dealing with all that lately. It's really not all that impressive when I routinely see 400 and 500s at night before bed, and just nonchalantly correct before turning in. I was pondering this recently, as far as how how High I was, and it dawned on me at the moment that I was 'Higher than a Roadie at Woodstock." And that's just not where I want to be. So, it's time to hit the mattresses. Lately, I haven't been making adequate use of my insulin pump - who blog readers may fondly know as The Don of Rage Bolusing. That trend has become too frequent, and it's all on the back end because I haven't done the legwork up front to calculate and keep everything in range. We're going in for the long haul. Most of this D-Slacking is a mind-game I'm playing with myself and trying to step away from. That means pre-bolusing before eating, correct carb-counting, and monitoring my activity and pump data to make sure everything is where it needs to be. Basal testing may soon be in order. Basically, in keeping with the Godfather quote theme here: I'm going to leave the cannoli, and take the blood meter. In discussing this whole D-Slacking concept via Twitter recently, Abby over at Six Until Me had an awesome mantra that I thought totally fit the theme for this post - she said, "Today didn't work, but tomorrow has potential!" Abby, that's so totally awesome and how I'm going after this TODAY! The past days haven't worked, but it's a new day and time for a change to happen NOW. Though I've been flying as high as the birds, it's time to make those Highs settle down - to the extent they need to be Sleeping With the Fishes. Hopefully, that's an offer my diabetes can't refuse. We haven't been to church in a long time. To the point that we probably have an inactive membership now, or they've forgotten who we are. But I've continued my biblical readings and have tried to keep up on reading our church sermons online. Most recently, one stood out to me and hit my heart. It illustrates how I feel generally, and in terms of my D-Care at this point in time. Maybe this is God speaking to me. The sermon is about one of our senior pastors getting ready to retire and move on to the next phase of his life, and it talks about the Four Stages of Work. Stage One is Unconscious Incompetence. Put simply, it means that you don’t know what you don’t know. As a worker it means coming into a new environment and trying desperately hard not to embarrass yourself or show your lack of skill. It means looking back and cringing at some of the things you said and did on your first day of work. Unconscious incompetence…I'd say this equates to someone just being diagnosed with diabetes. They are just learning, new to the game. And have a lot to learn. Stage Two is called Conscious Incompetence. It means that you know what you don’t know. This is what people call a fast learning curve: you realize there is a whole history and vocabulary and set of relationships you need to know to do the job. And you know it will take some time to master the steps. I.E. the early days of D-Living, following the honeymoon. But you get to a point. At least I have. Where now I find myself in Stage Four: Unconscious Competence, or simply where you have forgotten what you know. This is typically the time a person will stop doing a job and move on to something else. We all reach this stage at some point in our lives. The trick, of course, is to have the where-with-all to know when it is time to go. Sometimes, it's difficult to know when it is time to go. Sometimes it is easy to think that we need to hang-on, thinking that an organization cannot cope without us, or thinking that we need to get the organization to a certain level so no one can ruin it after we leave, or thinking we are so indispensible no else could possibly do the job. In my eyes, this is where I am at when it comes to D-Management. The time is here where I've just burned myself out, and don't want to keep doing things the way they are anymore. I've just stopped doing what needs to be done, and haven't moved on but am just trying to hang on to what is no longer my reality. Something needs to change. In a way, I feel as though I've been doing what I've been doing for so long that I just can't change. That I'm so set in my ways that it's just not worth it. Hopeless has emerged again, and it's a vicious depressing circle that isn't easy to get away from. The things that should be making me smile and making my mind work are not, and it's not a fun place to be at. Even community isn't the same these days for me, and that brings me down even more. So, this is my recognizing that I've reached Stage Four and that something must be done differently. We've made some moves personally that I won't get into here, but it's time to do the same when it comes to my D-Life and mental health. As in: not turning to uncalculated snacking (comfort food) when I get home from work and in the evening. Testing at night, and not allowing my numbers to get Sky High so that they stay there until mid-morning. Uploading my Carelink data again. Talking. Feeling. Being honest with myself. Learning to smile. Honestly, I just need a good cry. Because I haven't had one in a while and everything just bottles up inside. I've lost some of my faith. And so it's time to try and find it again. We're going back to church on Sunday. This means I'll have to postpone watching Meet the Press or Reliable Sources, and won't be able to have a D-themed chat with a fellow PWD as planned. And I may need to hold off on doing some work-related work and D-Blogging and Vlogging until later in the day. But that's OK. The time has arrived for change. This came up recently when reading a post Allison wrote over at DiabetesMine, where she interviewed a man who's been living with diabetes for 85 years. She asked him how he's done it. He responded, "God’s been good to me. He wants me around for some reason. God keeps us alive, we don’t. You just do what he wants you to do." That struck me. Self-reliance is what I've embraced more as I have become more empowered as a patient-advocate, but in doing so it seems as though I've started relying too much on myself to solve every problem and be able to just emotionally juggle it all. I've turned away from God, and it shows. So this is stepping back and getting to where we need to be. I've been Living With Diabetes for 27 years, after being diagnosed in 1984 at age five. My mother has been Living With Diabetes for 53 years, after being diagnosed in 1958 at the same young age. We both have certificates and medals "awarding" us for these milestones. Many friends in the Diabetes Online Community and Beyond have been living with diabetes for just as long, even longer, and can be considered "veterans" in many respects. Many mark their own yearly "dia-versaries" that celebrate the specific number of years they've gotten through. On a broader scale, we have had some recent media coverage about those People With Diabetes who have lived for long - including one man who has reached the 85-year mark and could be one of the first to hit that mark. Others who've achieved the 50-year mark and are participating at in the Joslin Medalist Study recently gathered at the Boston-facility to celebrate their long D-Lives. And Kerri's recent vlog entry over at Six Until Me. Is it really all that notable? Is it really that impressive that we've been Living With Diabetes for so long? And if the answer is Yes, why is that the case? Why is it really worth talking about, celebrating as an "accomplishment," and sharing with the rest of the world? Are we making this a bigger deal than it really is? I've been pondering these questions recently, particularly since one of my friends announced an awesome project to talk about this. Kim over at Texting My Pancreas has been inspired by the It Gets Better project and formed a D-version that has been named the You Can Do This project - a way to reach out to those who might think they can't live with diabetes or be feeling down, and know from some of us that you can. That it really does get better and you can do "it," whatever that "it" may mean for you. I've been exploring my mind and heart about what this all means for me, and hadn't been able to coordinate my scattered thoughts into one cohesive message. Then, a few people in my life posed those questions to me, about why there's even a thought about not being able to or why it's actually so impressive and worth talking about. And that got me thinking. "Why do so many online people seem to be so impressed by 50-year medalist winners? Do they really believe that they will never live to see themselves do it? To me, it's no great accomplishment. I wonder if your friends think they won't live to see it. It's sure not like I did anything special. " Reflecting on this, and watching the new You Can Do It video compilation, here's what I think about the whole thing. Keep in mind, it's only my opinion and Your Diabetes (and thoughts) May Vary. We are impressed that people have lived so long with diabetes because we've grown up being told that we would not. Maybe this is based on the fact that so many back in the day, were told that they would not - would not be able to have children, live past 21, have a "normal" life free from complications. If we weren't personally told that, maybe it was just the implication from "experts" that we wouldn't reach those milestones. 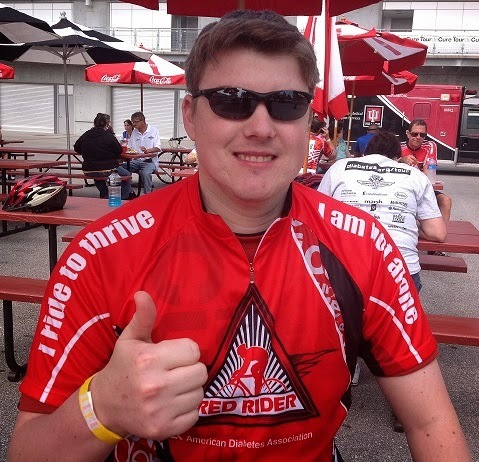 Being the son of a longtime Type 1, I grew up being somewhat shielded from "cure" talk. But that didn't stop those sentiments from getting to me. From my earliest memories, I recall thinking that I would likely suffer from complications or would die young. As I grew up and became "overwhelmed" and de-sensitized to those possibilities, I rebelled and just did my own thing - probably in part because of that young feeling of invincibility and that "it would never happen to me." But I think something more profound existed beneath the surface: a sense of hopelessness, that if the horror stories were indeed going to happen then how I lived didn't matter all too much. Mind-games won out over A1C and DCCT research. So much of this Life With Diabetes is mental and depressing. That's an element that hasn't historically gotten much attention, and still doesn't get adequate attention today from the Powers That Be. But I think the natural feeling that comes from this D-Life is that we face mortality at a younger age than many others, those who aren't diabetics or living with some other chronic condition or situation. Some of us deal better and don't get as far gone, while some of us slip into those depressive funks for longer periods and can get lost in the hopelessness. I did for many years. For a long time, my attitude was "Why bother?" when it came to diabetes management and it just didn't register as something that really mattered to me. It was about living in the moment, the future consequences be damned because I didn't want to be overwhelmed or burdened with the depressing thought that I wouldn't be around to achieve my dreams or see much of a future. When I was younger, my writing was poetry and creative writing - either very emotionally depressing or fantasy-based based as a way to escape. That was the case throughout high school and into my college years, and it really wasn't until I saw a bigger picture and a reason to live that I was able to adjust my mental view. Honestly, it was seeing my future materialize in the eyes of a special woman that made me see how selfishly-destructive my D-Life attitude had become. That was before the D-Community and a whole new world of support came into existence, which fueled that feeling of not being alone even more and made the daily burdens even more "normal" and "easy" to cope with, knowing that others were doing the same thing and achieving amazing things. Yet, through all the years and whether it was a "good" time or not as far as D-Management, it's basically been a matter of just doing what needs to be done. It's really not that big of a deal to us personally. Like just be living and managing, we were doing something outstanding and worth recognizing and sharing with the bigger world. I kind of feel that at same way at 27 years, that it's not all that impressive. I haven't done anything "special." Sometimes, I feel guilty about being this "normal" without noticeable complications when so many others are, for no apparent reason. But while it may not be that big of a deal to us that we've "done it," maybe it is in the grand scheme to those who are just starting out post-diagnosis or those in the grips of feeling that they can't and will not get to this point. They CAN get through the hopelessness. In a follow-up email, my own mom wrote something that really sticks with me. She talks about how she had the same sense of "Why Bother" as a teenager and young adult. Thanks in large part to medical professionals telling her she'd be dead by age 21. "After I turned 21 and was still alive, I couldn't figure out exactly what was happening and why I wasn't dead. " To me, this hits directly at why it's so important to talk about these success stories of those who are Living With Diabetes for so long. To share with those who need it most that they AREN'T alone, that they can do this. We can achieve our dreams, even if we've thought somewhere in the back of our minds that we couldn't because of diabetes. So, that's where I am at. In understanding where my mind has been at on this topic, I'm now even more excited about Kim's new You Can Do This project. I'm going to be participating, recording my own V-Log for this project that has already started but that officially kicks off June 15. If you're a member of the D-Community in any regard, as a PWD or D-Parent or just a Type Awesome, I'd invite you to join in and be a part of this incredible effort to make a different and inspire those who may need it most. Because, yes, there is a need to share these stories. Hopelessness does exist, and just by knowing others and not feeling alone, those who feel that way can be reached. We can help others cope just by showing them It Does Getter Better. And that's so incredibly important. About a month ago, my parents visited Indianapolis and we were able to set up a long-awaited tour of the Eli Lilly headquarters. This has been something that had been on the mind for a long time, going back seven years since I'd moved to Indiana from southeast Michigan. Back in early 2010, I'd had the chance to briefly walk through a part of the historic museum when attending a JDRF Research Update where I met Aaron Kowalski. I wrote about that experience at that time. But coordinating a tour with my mom was more tricky, as the company has had tighter security protocol since 9/11 and the touring isn't something they do all that often anymore. Finally, we had that opportunity in early May through a contact I've made locally as a board member of the Diabetes Youth Foundation of Indiana. The stars had finally aligned for this visit to take place while my parents were in town. My mom and I both have Lilly medals - she's a 50-year recipient marking her diagnosis in 1958, and I've received my own 25-year medal marking my diagnosis in 1984. Dad snapped photo of Mom and Me posing by Lilly fountain. My mom writes, "Since Michael moved to Indy and we went down to visit, driving by the Lilly campus, I really wanted to visit there. Why, you might ask? In my mind, since 1958, it has been Lilly that has kept me alive. Without their manufacturing of insulin, I would have been dead as a five year old." The first really neat thing was the two sides of a hallway, one with letters that people had written to Lilly thanking them. Obviously, I’m not the only one grateful to this company. The other side was Lilly saying thank you to the world, showing how they reach out quickly to the world in times of disaster. Hurricane Katrina, the recent tornadoes in Alabama, the floods along the Mississippi, Japan, Haiti, and basically anywhere in the world when a disaster hits, Lilly goes in to help. Next were showcases with many old, and some not so old, things from Lilly. Some of the things I remember were old urine test strips and huge syringes that had to be sterilized in boiling water. I remember my mother sterilizing my glass syringe and sharpening my needle. They had little trinkets the salesmen would once give to doctors and medical staff, such as pens and buttons and even a little plastic bathtub with the Lilly name and logo on it. Another walkway showcased a display of a timeline of photos that showed what was happening in the world and at the same time was happening at Lilly. Fascinating to see their developments in relationship to what was going on in the world. For example, Humalog was invented at the same time that John Travolta was starring in Saturday Night Fever. The timeline was not finished to allow for the addition of future discoveries. During our tour, there were many groups of new sales reps also taking the tour as part of their training. When you work for Lilly, you are thoroughly taught the history of the company. We saw the actual office where Col. Lilly worked, and has some family history photos and memorabilia displayed around the office. One item was an historic transaction book, which is where the actual Lilly signature we all see displayed in red everywhere came from. It was all pretty cool to see. Outside, we visited the replica of the original lab building of Colonel Lilly, where during the Civil War he founded a company that made only the highest quality remedies, made at the suggestions of doctors, not just what could be purchased from a side-show huckster. Photo courtesy of Lilly Diabetes. One of the most memorable aspects of the visit was outside, when we were able to see up close and personal the marble tribute wall identifying the people who had earned the Lilly 75 Year Medal. The inscription says, "Seventy-Five Years on Insulin, Seventy-Five Years of Life." On the backside, 10 names are listed now. But more will be added in the future as People With Diabetes reach those milestones thanks to longer and healthier lives. The list will grow thanks to the evolution of technology and medicine, and that's encouraging. My mom hopes to add her own name in 23 years, but one cool thing that came to my mind while we were visiting was our combined tally of years Living With Diabetes. Together, we've reached that "semisesquicentennial" milestone. That's pretty cool, I think! After the visit, I had to get back to the office, as it was a workday - I work in downtown Indy a couple miles from the Lilly building. My parents went to a later breakfast, and then had a chance to take a walk downtown and see the original site of the Lilly lab on Meridian Street. The historic building has a plaque fastened to it, and is not even a block from my office, connected by an alleyway with easy access from the back part of my building. Anyhow, they had the chance to see that extra element of history as part of the whole tour experience. My mom writes that this visit is something she'll always remember. I completely agree, and so appreciate the fact that we had the chance to experience it together. We express our thanks for the two at Lilly who helped make this happen and create such a great memory. "Always know if the juice is worth the squeeze. " Yes, it's a quote. From philosophers, I'm sure... but I heard it first in a movie called The Girl Next Door. Mulling that quote on little sleep and high stress levels, I offer a Friday message for any Person With Diabetes who might be hitting scary-productive levels of awesomeness or just simply trying to tread water effectively until a life boat arrives. "Always know if the Boost is Worth the Bolus. " As I said, lots of work + too little sleep = A NEED TO KNOW WHEN IT'S WORTH CLOSING YOUR EYES, OR WHETHER YOU CAN KEEP RUNNING ON CAFFEINE AND FUMES WITHOUT A.) CRASHING OR B.) OVERLOADING. Yes, I take that much for 82g between these pair of energy boosters. Please don't ask why there's a used syringe, lancet, and two test strips in this empty bottle. Or why it's upside down, for that matter. Seriously. Just don't ask. Don't make me ramble incoherently at you. Through the screen. Or mobile device. My mind can't comprehend the reasoning, and I'm you may have guessed I'm not up to explaining it anyhow. Just appreciate the coolness of it. Mm'k? Thanks, yo. Now I'm out of coffee?!?!?!?! Well, crap. Is this a nightmare? Geez. Oh, but there's a solution!!!! No, I don't bolus here.. The Can wanted to strike pose all artsy-like. Hi, Diet Coke. Hi there. Every Wednesday is trash day in our neighborhood when the trusty garbage and recycling trucks come by to pick up whatever we've left at the curb. In our world, we typically leave a few white pull-string trash bags inside a plastic container on wheels. We also put out the green plastic bin for recyclables - miscellaneous glass and plastic bottles, the dog-chewed plastic milk jugs, and a plethora of empty Diet Coke cans. Among other things. One of those containers usually contains some D-supplies, like discarded infusion sets, empty vials of BG test strips, a neutralized Army of Used Test Strips, backup syringes or tangled pump tubing no longer in use. Random sharpies. Some scattered lancets, if by chance I changed one that past week. Really it just depends on the particular week's activities. Anyway, the trash and recycling has usually been picked up by the time I return home from work that day. That was the case on one recent Wednesday. But there was something more to notice that day. See that, right there in the middle...?!?!?!?!?!?! I walked with my head toward the stormy sky from my driveway into the street, moving across to the right of the pair of mailboxes and collecting the mass of junk mail inside. Then, I turned and started walking back toward my home, this time not inspecting the sky for the approaching storm... That's when I caught the image from the corner of my eye. No Way!!! Are you serious? You There! In the Street! I. See. You. Both. DON'T MOVE!!!! Yes, your eyes aren't deceiving you. Those did in fact appear to be D-SUPPLIES lurking in the street. The Culprits, up close and personal. That is an empty test strip vial and plastic plunger that screws into the end of a pump reservoir. On my way to fetch the mail that evening, I noticed these items in the street. At first, I wondered where in the fructose they'd come from. Are those mine?!?! Could they belong to someone else, ANOTHER diabetic who happens to be a neighbor??? Hmmm. Those mind games circulated for a moment, before I concluded they were indeed from my trash bag and I'd better take haste in scooping them up. Yes, the above-mentioned items were present as seen. But also lounging in the street were some other D-Supplies not pictured above. There, lounging nearby the above D-Supplies, were a handful of Used Test Strips. Or, as you may more keenly know them: Members of the Zombie Of Used Test Strips Who Know How To Stalk Us. Some may still not understand, so I relay the message in the New Universal Language of Twitter-Speak: #MembersOfTheArmyOfUsedTest StripsWho KnowHowToStalkUs. #RogueStrips #TheyHadEscaped #AsSneakyAsCupcakesAreAwesome #imnotlying. True Story. They. Were. There. With my eyes darting over both shoulders like I was hiding a bloody murder in the middle of the street, I quickly collected them to make sure that none of my neighbors saw what was happening. It was as though someone would suddenly appear in a doorway, seeing me there standing above the supplies strewn out in the street, and start pointing and yelling at me: "You There, In The Street!!" Maybe I'm just paranoid. Rather, maybe my quick clean up was more in line to prevent any of those Sneaky Strips from escaping any further. I grabbed the D-Supplies and dragged the empty trash and recycle bin into the garage, and went inside. That's when I realized: "Hey, that'd be an AWESOME D-blog photo!!!" Not wanting to fish the test strips from the trash, I grabbed the vial and plunger and with camera in hand went outside to plant them in the street where I'd found them. And here we are. Now you know. So, make sure on those days when your trash and recycling is collected, to watch out for sneaky rogue BG Test Strips that might be plotting their escape. They'll do anything to get away and and venture out into the real world, even if that means hanging out on the streets until they can hitch a ride to some non-meter haven. May this be your warning to capture and dispose of accordingly.